Blockchain was invented by Satoshi Nakamoto in 2008 to serve as the public transaction ledger of the cryptocurrency Bitcoin. Since then, it has become a technology capable of shaping the future. Here is why you should know about it. Where it is or can be used? Physical currencies are regulated and verified by a central authority, because of which their value is dependent on the safety and integrity of the bank and the government. Blockchain, on the other hand, allows cryptocurrencies to operate without the presence of any central authority. Banks incur significant costs in verification of the huge volume of transactions each day. The verification process also takes time and demands a considerable amount of effort. But the integration of blockchain can almost eliminate transaction times, reducing costs and effort drastically. Patient medical records are considered extremely sensitive data and keeping it secure is vital to the growth of the healthcare industry. Blockchain can ensure maximum security for such sensitive information by writing it into a block and encoding it with a private key so that it is accessible only to the authorized individuals. Even in today’s modernized world, a physical deed must be taken to a government employee where it is uploaded to a central database manually. This process has great potential for human error and consumes unnecessary time and effort. Blockchain can be used to store and verify property ownership in a trustworthy and accurate way. The solution of using a computer code built into a blockchain to facilitate, verify, or negotiate a contract agreement has been termed as a smart contract. Users agree to a set of conditions under which the smart contract operates. The contract is automatically carried out once the specified conditions are met. Why Blockchain holds the key to the future? Accuracy - Blockchain transactions are verified by a network of thousands or millions of computers, making faults and slips a near impossibility. Cost – With no need for a central authority or third-party verification, blockchain helps getting rid of all additional and associated costs involved in a transaction. Decentralization – Instead of storing in a central location, blockchain distributes its information across a network of computers, making it impossible to tamper with. Efficiency – Small and huge transactions in banks demand long verification times and delays. 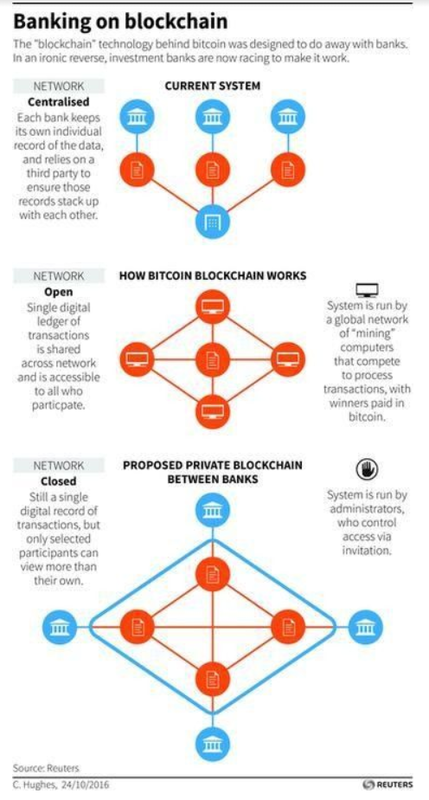 Blockchain can complete transactions in 10 minutes, working 24 hours a day, seven days a week. With such wide-ranging applications and unequalled advantages, blockchain is all set to revolutionize the world in ways never seen before. BayInfotech, a software development company recognizes blockchain’s value and strives to be a part of the future it is going to shape.